Twitter is officially on a profit streak. Twitter (TWTR) posted its second consecutive profitable quarter on Wednesday thanks to renewed growth in its ad sales business. The results are a strong signal that the social media company's turnaround efforts are bearing fruit. The company reported a profit of $61 million for the first three months of 2018, or nearly as much money as it lost in the same period a year earlier. Twitter reported its first profitable quarter as public company in February. Twitter shares jumped as much as 12% in premarket trading Wednesday following the earnings results, before settling somewhat. It's now up about 3%. After struggling for much of last year with sagging ad sales and stagnant user numbers, Twitter revealed Wednesday it is now seeing stronger growth in both. Now Wall Street is worrying about a new problem: regulation. Twitter is one of several internet companies with the potential to face greater user and regulatory scrutiny in the wake of Facebook (FB)'s Cambridge Analytica data debacle. On a conference call with analysts Wednesday, CEO Jack Dorsey fielded multiple questions about the impact that the global data privacy awakening could have on Twitter's business. 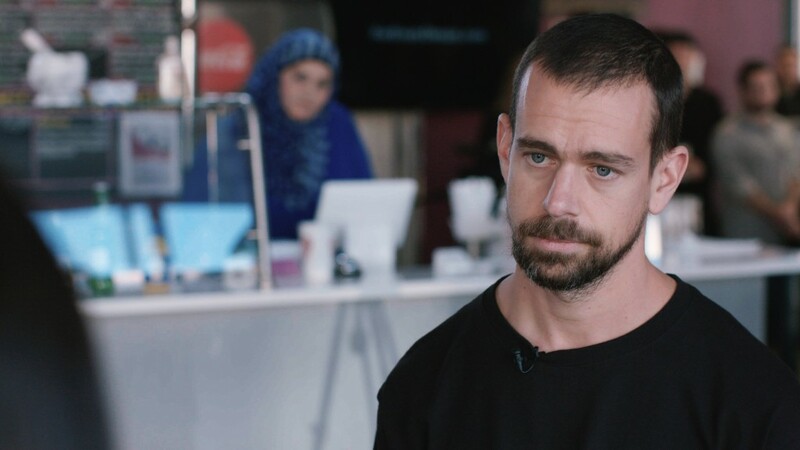 Dorsey stressed Twitter is "different from our peers" because its data business is built on information that users share publicly, rather than privately. "Our data business just organizes that public data in real-time," Dorsey said. "We do not provide any personally identifiable information that is not already visible on the service." Cambridge Analytica, a data firm with ties to President Donald Trump's campaign, accessed information from as many as 87 million Facebook users without their knowledge. Facebook says the data was initially collected by a professor for academic purposes in line with its rules and later transferred to third parties in violation of its policies. In its letter to shareholders Wednesday, Twitter did note that monthly active user growth could be "negatively impacted" by the General Data Protection Regulation (GDPR), the sweeping new data protection law set to take effect in Europe next month. When asked about the law's possible impact on Twitter revenue, CFO Ned Segal said: "It's too early to predict the impact that regulation is going to have on the business." For now, Twitter's business is going strong. Twitter posted sales of $665 million for the first three months of 2018, a 21% increase from the same period a year earlier. By comparison, Twitter's ad sales business was shrinking this time last year. Much of the revenue growth came from Twitter's international markets, which are now on the cusp of overtaking Twitter's U.S. ad revenue. The company is also seeing more traction from videos, which now make up more than half of its total ad revenue. Twitter has 336 million monthly active users globally, adding six million users from the prior quarter and up from 327 million a year earlier. Nearly all of that growth is coming from overseas: Twitter had 69 million users in the US, unchanged from a year earlier. Throughout the last year, Twitter has worked to make its product more engaging and intuitive to users by expanding the character limit, threading tweets and highlighting content around events like sports games.